I was being quizzed the other day about different improvement strategies that can be applied to businesses. They wanted to know what I thought they should focus their energies on. I knew the person asking me the question was expecting me to say 'Lean' or 'Six Sigma'. 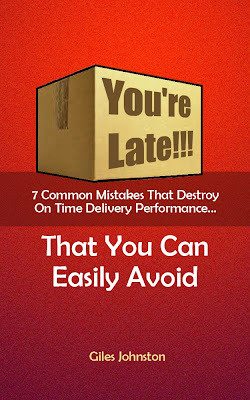 Processes that aren't properly prepared usually hide a whole load of inefficiencies. Think about your own experiences. How many times have you experienced activities that take longer than expected, because of a lack of preparation? Preparation helps to build the experience of the previous failures into your current process. Preparation should, if done properly, make the total time (of doing whatever it is that you do) shorter. There will be some time required at the start of a business process to prepare properly, but it should be far less than the time saved (so that you are saving time overall). And, if you want to know the quickest way to make preparation a reality - make a checklist. How well does your business prepare?